Picking up from Colorado Child Custody FAQs (Pt. 1), below we will answer some more commonly asked questions that arise when people are dealing with child custody matters. If you are ready to receive more specific answers regarding your situation or you need help with any matter of family law, you are encouraged to contact the Colorado divorce and family law attorneys at Bahr and Kreidle. These Colorado child custody FAQs provide some helpful info about these cases. For more specific info about your case, contact Bahr and Kreidle. Q: What if my ex and I agree to the terms of custody? A: This is ideal. While it can be difficult for parents to agree on custody issues (particularly if they are involved in a contentious divorce), when they are able to come to an agreement on child custody arrangements, the courts will usually uphold this agreement (as long as it is reasonable, fair and makes sense). Q: If my ex isn’t abiding by the custody agreement, can I stop paying spousal or child support? A: No. Although it may be tempting to stop payments on spousal or child support when an ex is not living up to his or her end of a child custody agreement, it’s critical that you do not do this, as it can lead to serious legal issues (like being sentenced to jail, having your wages garnished, etc.). Instead, if one parent is not living up to his or her end of a custody agreement, it’s time to go back to court and report the breach to the judge. This can lead to an adjustment of the custody arrangement, the spousal or child support payments, etc. 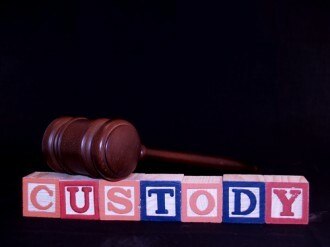 For some more answers to custody FAQs, look for the conclusion of this blog to come! Since 1983, the Lone Tree divorce and family law attorneys at Bahr and Kreidle have been helping married couples dissolve their marriages and resolve child custody issues so they can focus on their future. Our lawyers are committed to being aggressive advocates for our clients in any legal setting and to providing our clients with exceptional personal service and the highest quality legal representation. This means that our clients can always count on us to be available to answer their questions, to fiercely defend their rights and to be tenacious about helping them achieve the best possible resolutions to their cases. A choice to work with the trusted Lone Tree divorce attorneys at Bahr and Kreidle can empower people and give them confidence that their important legal matters will be resolved as favorably and efficiently as possible. If you need help with a divorce, child custody issues or with any family law matter, our Lone Tree divorce lawyers urge you to get more information about your rights by meeting with us for a free, no obligations initial consultation. To set up a meeting, call us at (303) 794-7422 or email us using the form on this page. From our law offices in Littleton, we represent clients throughout Colorado, including in the Denver Metro Area, Arapahoe County, Adams County, Jefferson County and the cities of Lakewood, Highlands Ranch, Lonetree, Castlerock, Westminster, Centennial and Aurora.